With integrated emergency medical kit, compact, whistle and other items, the VSSL first aid LED flashlight is capable of handling various situations during various adventures. Like the idea? Let’s keep checking. This is a multi-functional LED flashlight that measures 22.86 x 5.08cm and weighs 396g. As we can see from the images, the flashlight shows off a sleek and ultra portable design that allows you to effortlessly store it in your backpack for any outdoor activity. Moreover, the flashlight’s casing is made from seamless extruded military specification anodized aluminum for a water and impact resistant construction and premium look. The LED flashlight features 200 lumen dual modes including static and SOS. Moreover, it also comes with a first aid kit that consists of 2 BZK-based antiseptic wipes, 2 Isopropyl antiseptic wipes, one alcohol free cleaning wipe, one soap wipe, one triple antibiotic ointment, two cotton pads, multiple bandages, four Ibuprofen tablets, four Aspirin tablets, four safety pins, tweezers, one single sided razor blade, two rolls of medical tapes, and a pair of nitrile groves, so it always provides first aid wherever you’re. 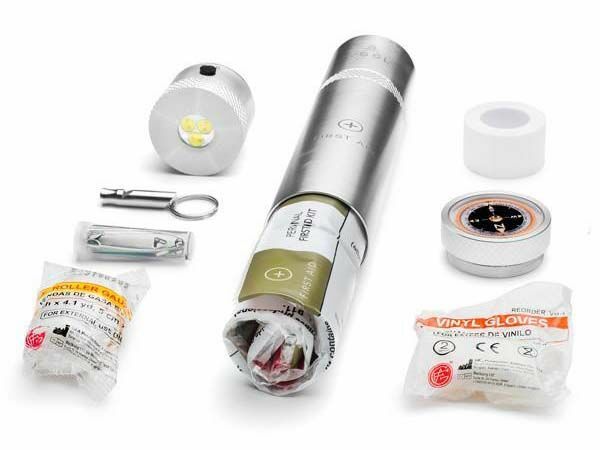 In addition, the first aid flashlight also has a compact whistle, an oil-filled compass incorporated in the knurled endcap which can guide you back to your campsite. 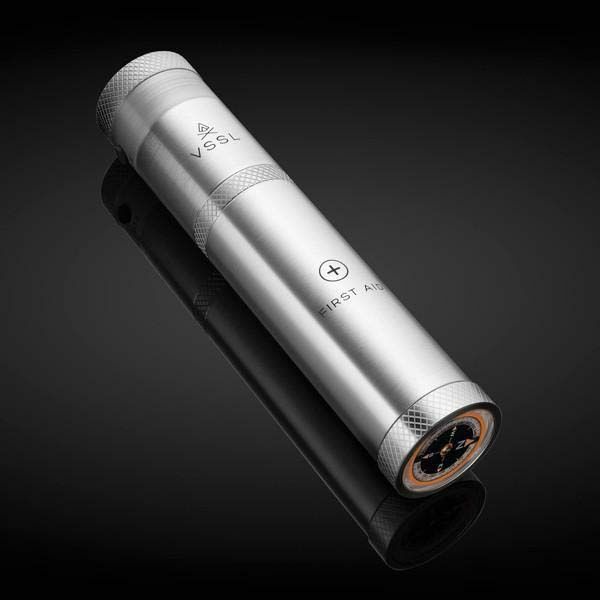 The VSSL first aid LED flashlight is priced at $66.5 USD. If you’re interested, jump to Amazon for its more details. BTW, don’t miss the ultra compact LED flashlight and more cool related gadgets by following tags.